Inspired by Yamaha award winning Maple Custom Absolute and Absolute Maple Hybrid, Yamaha Drums fuses decades of being the most in demand touring and studio drums in the world for professionals by introducing the TMP2F4 Tour Custom Maple Drum 4-Piece Shell Kit. 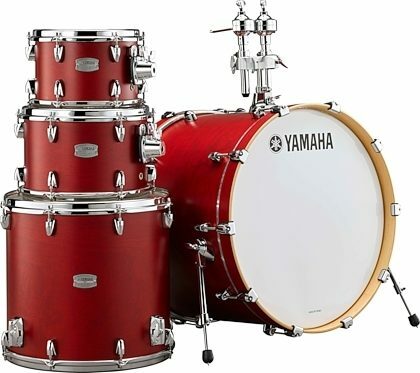 Designed with close consultation by Yamaha’s world-wide artist family. Maximum projection and a wide dynamic range is achieved with 6-ply 5.6mm maple shells, 2.3mm inverse Dyna hoops and now with U.S. Maple grain under luxurious clear satin finishes. Note: Shell kit only -- cymbals and hardware sold separately.